The past week I've mainly been working on the parallel (multi-core) code ensuring its all stable, tracking down any race conditions and seeing how it all performs with lots of battles going on. 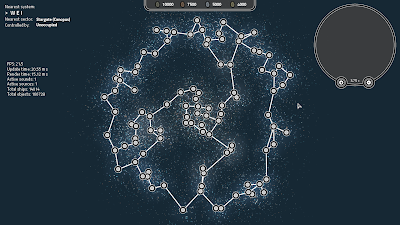 Below is some screenshots for the stress test I did to help me decide what to set the maximum number of ships per game to. 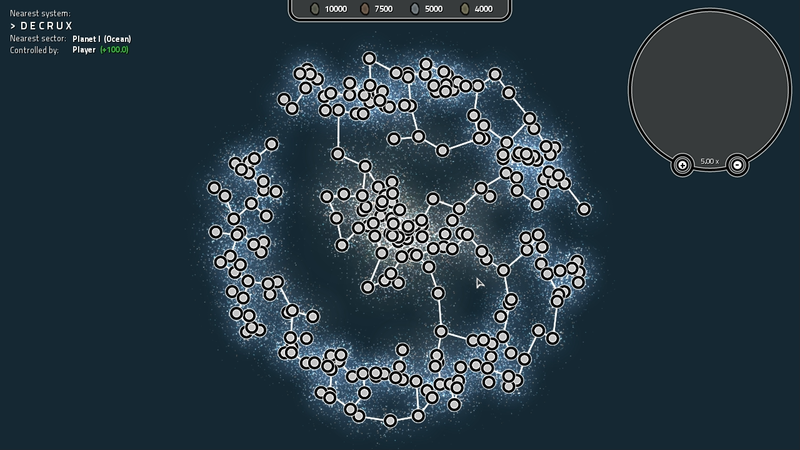 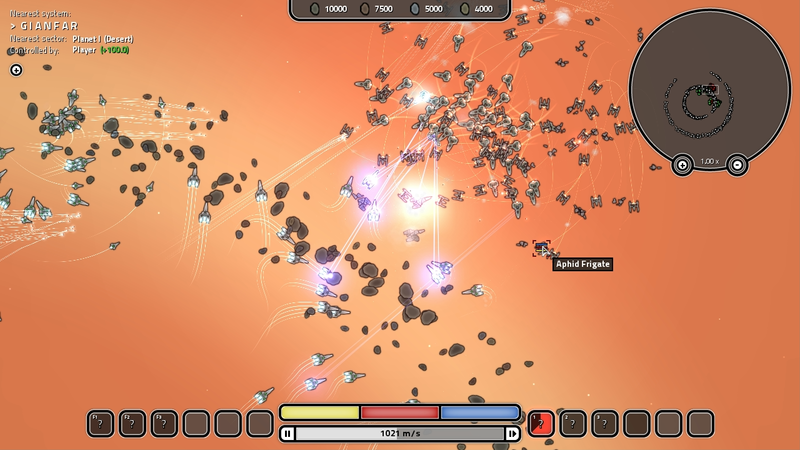 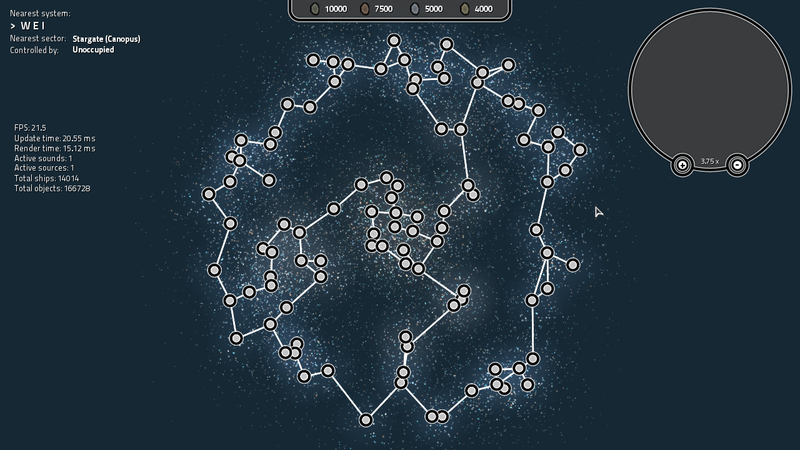 The galaxy I generated had 100 star systems, 200 planets and at each planet there is a 36 vs 36 ship battle taking place at exactly the same time. 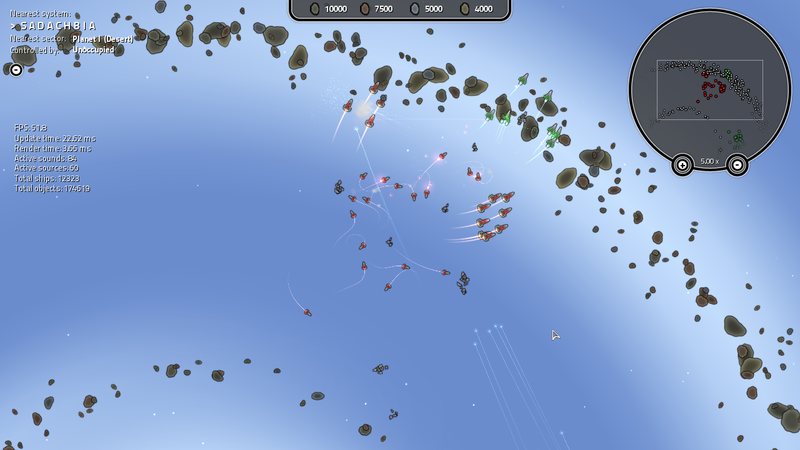 So in total there are 14,400 ships being simulated in full detail. 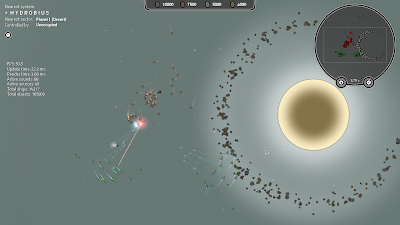 The chances of there being so many battles taking place at once in a typical game will be very small. 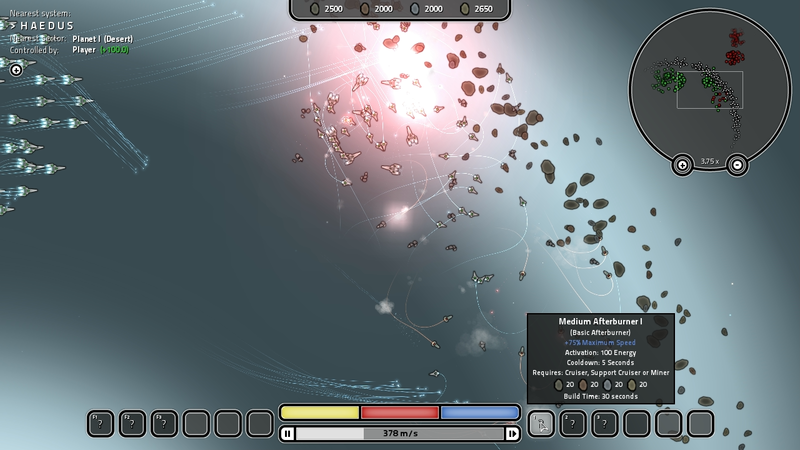 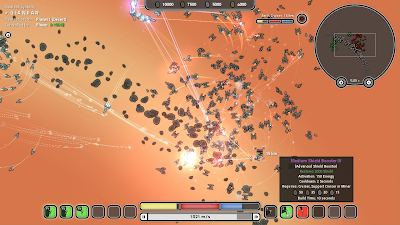 The much larger "total objects" stat in the screenshots includes asteroids, wreckage as well as the ships. Overall I'm fairly pleased with the performance so far as I havnt yet profiled or optimised most of the code. 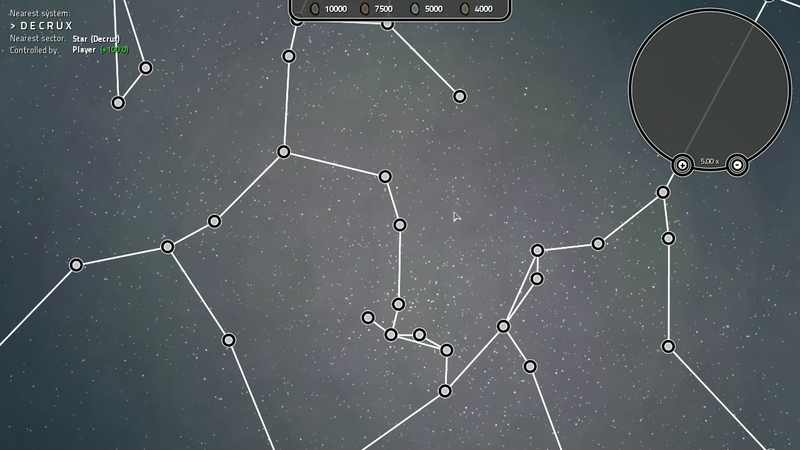 However the galaxy view in the second screenshot still needs work as the stars in the background are not rendered very efficiently. Some early screenshots and video of my game Galaxial that is in development. 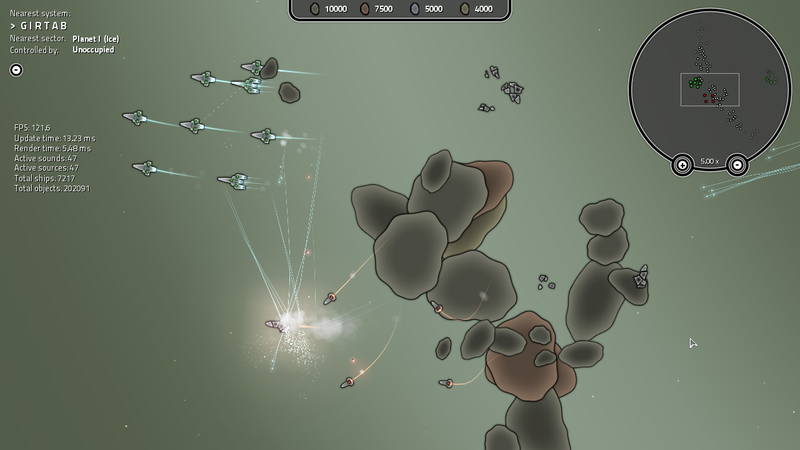 Its still in a rough unfinished state but should give you a general idea of what the game is going to look and play like. The video is more a tech demo than actual typical gameplay that I have planned as all the ships are just fitted with missiles and beam lasers (damage) with no support ships providing repairs or electronic warfare which I'm planning to add soon. 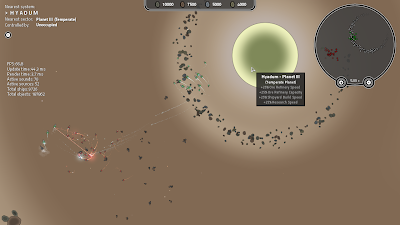 Once those are included the battles will become much more tactical. 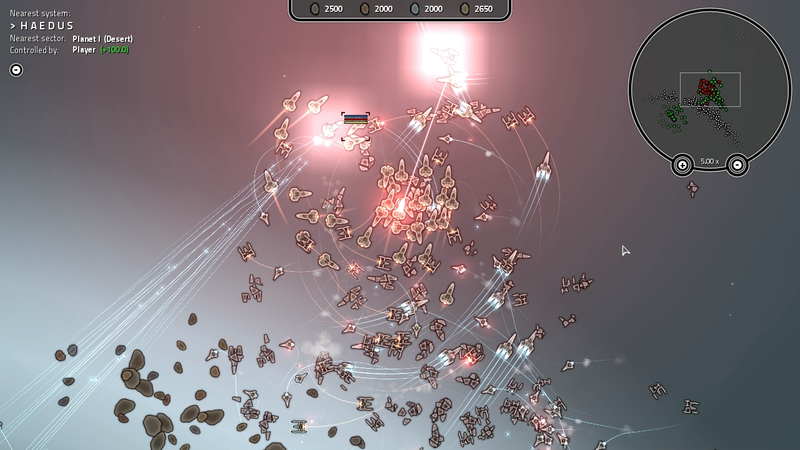 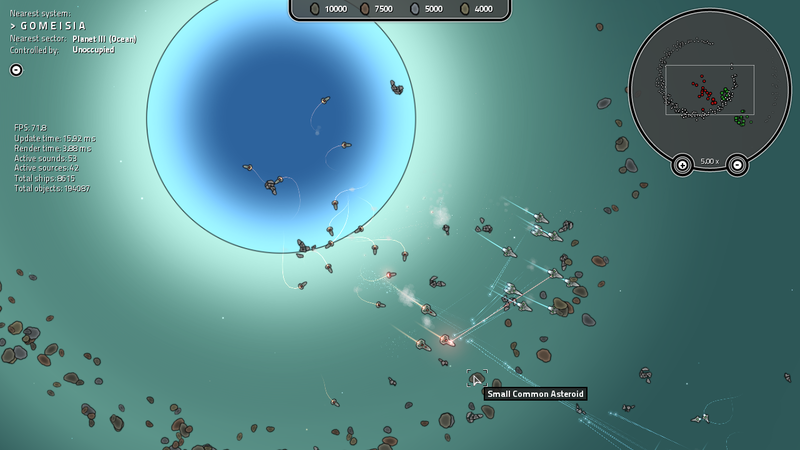 The buttons and interface along the bottom of the screen are used for the ship the player is manually controlling at the time. 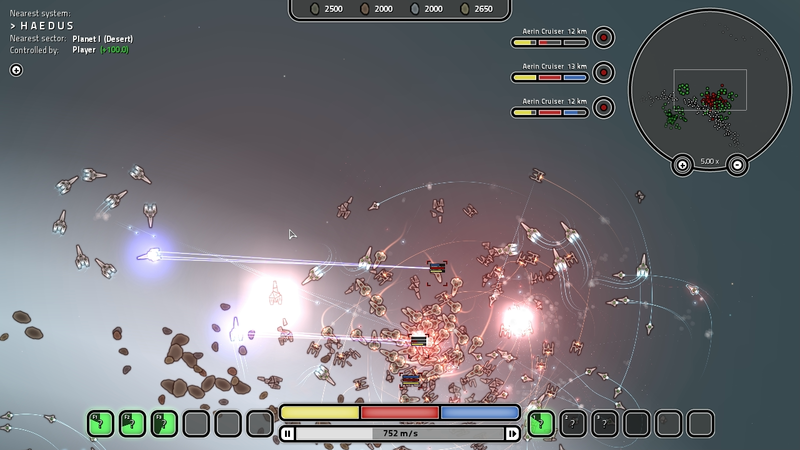 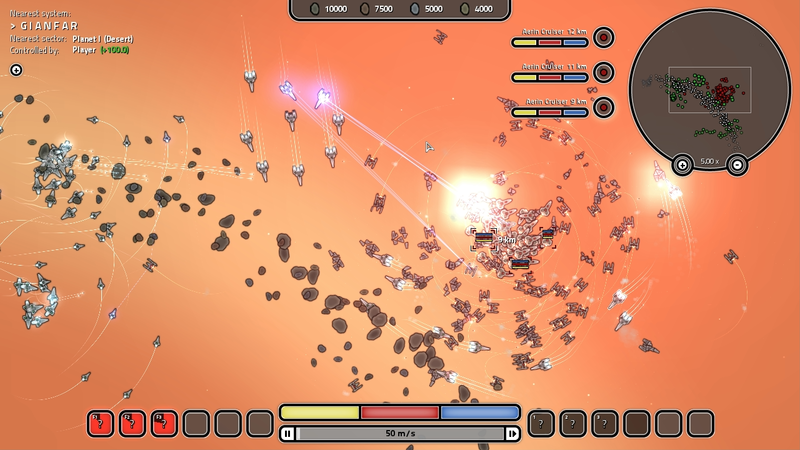 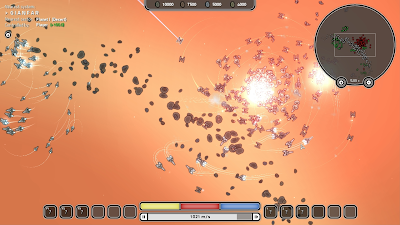 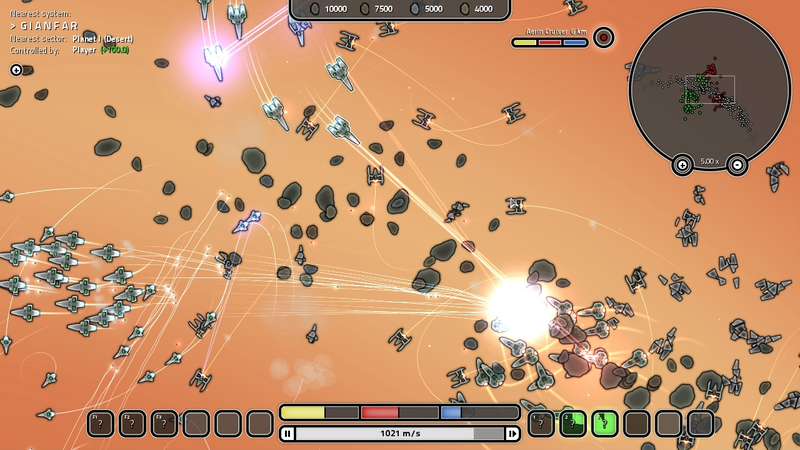 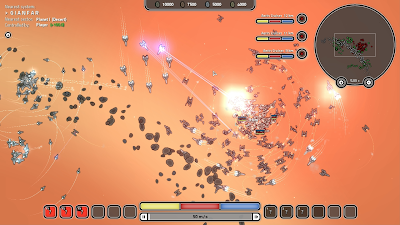 You can instantly jump in and out of any ship you own to affect the outcome of battles or for exploring. 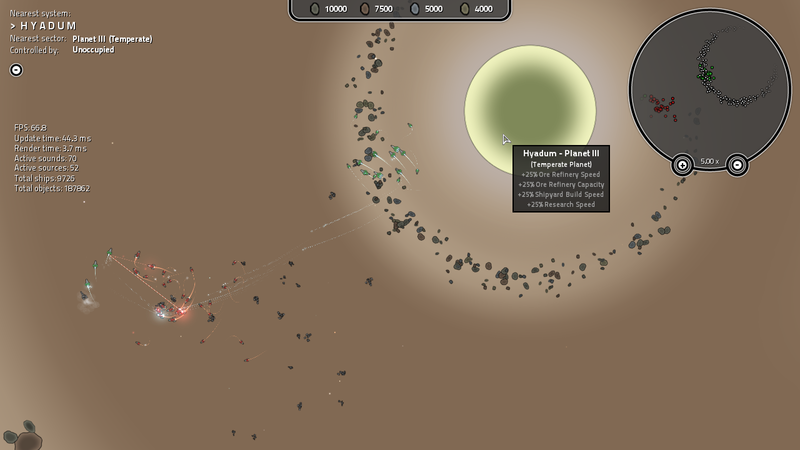 Planets are claimed when a colony is built on its surface. 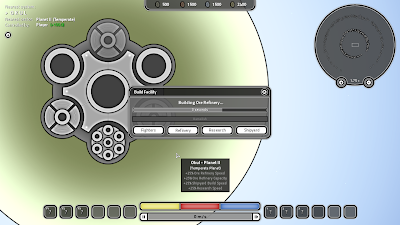 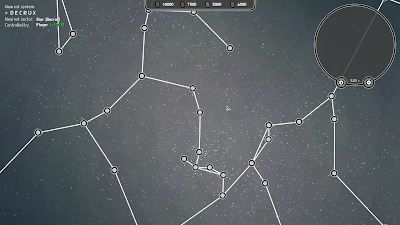 Currently there are four types of facility (more may be added) that can be built at a colony with space for six in total per colony. Building multiple facilities of the same type increase their efficiency so its better to specialise each colony according to its planet bonus. Each ship design has a maximum number of available module slots of each type that can be fitted.